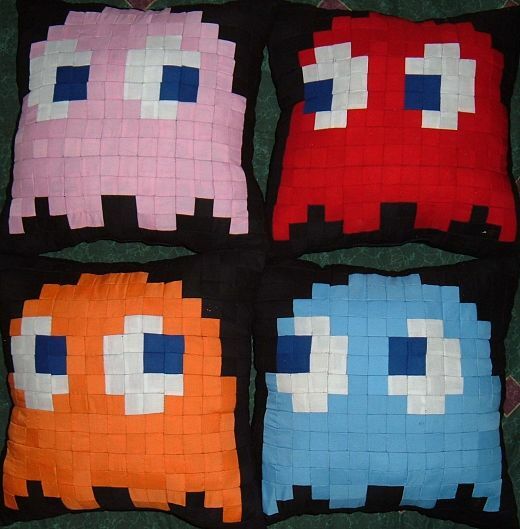 This set of fun Pac-Man pillows features the likenesses of Inky, Blinky, Pinky and Clyde, the ghosts from the classic 1980s arcade game. But flip them over, and you’ll get some of those frantic blue ghosts on the run as if you just chomped down on a big old power pill. 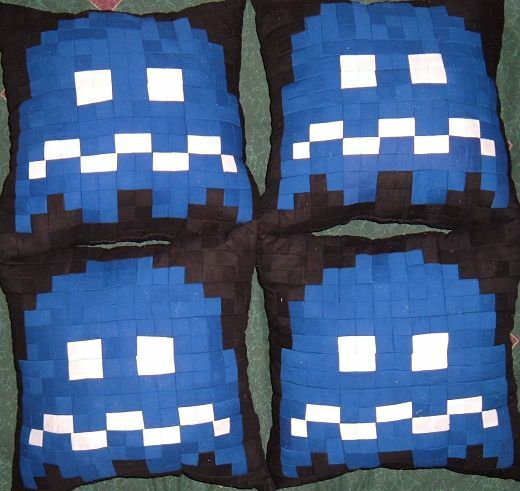 Handcrafted by New Hampshire fabric artist Rapunzel’s Tower (aka “Punzie”), the pillows are pieced and stitched to give them the look of individual pixels from the classic ghosts of gaming past. Unfortunately, this particular set of pillows (priced at $90) is already reserved for a special order, but you can surely order a custom set for yourself if you contact Punzie over on her Etsy page. Be sure to check out some of her other great geeky sewing creations here.